Like pretty much everyone else with a Netflix subscription, I spent most of my Friday watching the third season of House of Cards. I burned through all 13 episodes in one evening. If you’re asking whether you should watch season 3, that should tell you everything you need to know. If you want to know what I thought about it, read on. Pretty much my only gripe with the otherwise fantastic second season was that despite setbacks and challenges, I never felt like Vice-President Underwood ever truly had his back against the ropes. It’s like watching superhero movies: If Superman keeps making it out of the most extreme situations intact, eventually, you stop worrying and lose interest. House of Cards is much too fun to not be interesting, but by the end of the second season, it felt like Frank Underwood needed a challenge. I wanted to see him with his back against the ropes. Like previous seasons, House of Cards season 3 had me transfixed. Series creator and writer Beau Willimon must have heard my pleas, because Frank Underwood is of no lack for challenges in season 3. Republicans are blocking him in Congress, the democratic leadership doesn’t support him, Doug is out of action since the end of season 2 and the relationship between Frank and Claire is beginning to show cracks. The drama is strong and relentless, and I actually started to wonder whether season 3 would turn out to be the downfall of President Frank Underwood (setting him up for a repeat of season 1). Like previous seasons, House of Cards season 3 had me transfixed. Lars Mikkelsen pretty much repeats his performance as Charles Augustus Magnussen from Sherlock. The only lackluster part of the season is in the middle episodes, when House of Cards loses sight on what it’s really good at: office politics taken to the extreme. Instead, international relations starts to play a bigger role. It’s fun to watch Lars Mikkelsen chew scenery as President of Russia (Petrov, not Putin, mind you), but US and Russia relations are not as interesting as Frank and Claire relations. House of Cards is at its very best when it is exploring personal faults, like those of Congressman Russo in the first season or those of Doug in the second. That got lost in parts of season 3. Those episodes are the exception, though. 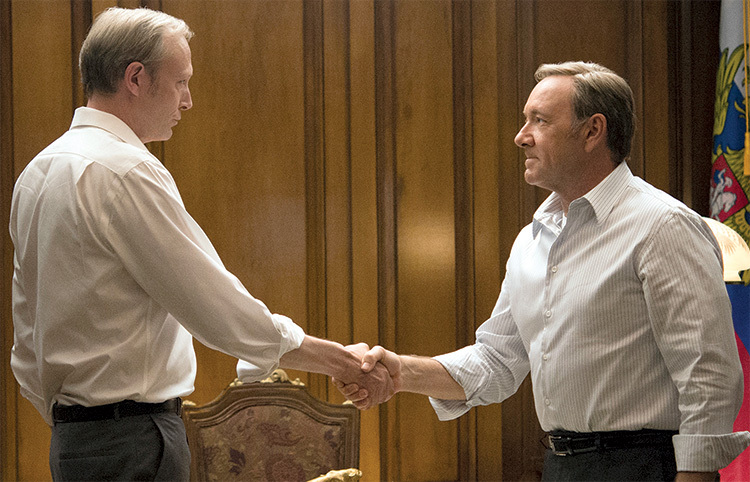 For the most part, House of Cards season 3 offers more of the same: more backroom deals, more vote counting, more political backstabbing and more actual backstabbing. It isn’t as fresh or interesting as the first two seasons, but it still kept me glued for 12 hours straight, which is more than I can say for pretty much anything. I’m very excited to see what they do with season four. 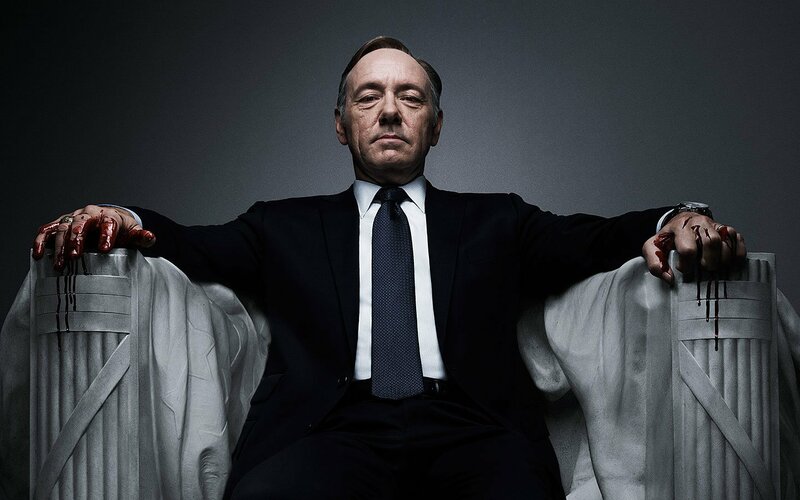 Underwood for 2016.